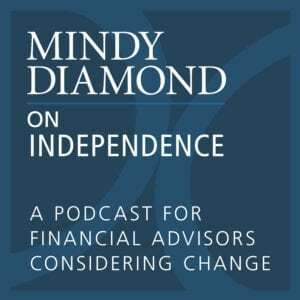 Morristown, NJ — Diamond Consultants, recruiters and consultants to financial advisors and firms, announced today that their podcast series “Mindy Diamond on Independence” has surpassed 30,000 downloads—a milestone that Mindy Diamond herself never expected to reach. Diamond, the President and CEO of Diamond Consultants, hosts the series and offers educational monologues, as well as engaging interviews with industry leaders and experts including Tim Oden, Senior Managing Director of Schwab Advisor Services; Mark Tibergien, CEO of BNY Mellon’s Pershing Advisor Solutions; Liz Nesvold, Founder and Managing Partner of Silver Lane Advisors; and Shirl Penney, CEO of Dynasty Financial Partners. She also invites top breakaway advisors to discuss their journeys to independence. The podcast series itself has been described by advisors as their “go-to resource” when learning about independence, while feedback from industry leaders has been equally positive. The podcast has aired 35 episodes to date and covered topics that include descriptions of the different independent models, monetization opportunities, succession planning, inorganic growth, and mergers and acquisitions. Yet Diamond said that it’s the honest perspectives that her top breakaway advisor guests share that resonates best. 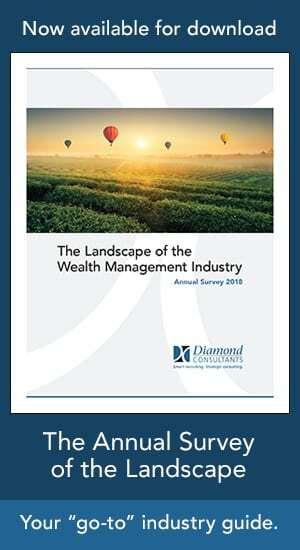 Diamond is also clear to note that while she finds the independent space exciting and that it answers a need that many advisors have, it’s not for everyone. The series was designed to aid in an advisor’s exploration process, with one of the first episodes focused on helping advisors identify if independence is right for them. The series is available on the Diamond Consultants website, as well as all major podcast channels including Apple iTunes, Google Play, Stitcher, Spotify and YouTube. The series is also recast on WealthManagement.com and IRIS.xyz. Click here for more information about Diamond Consultants.